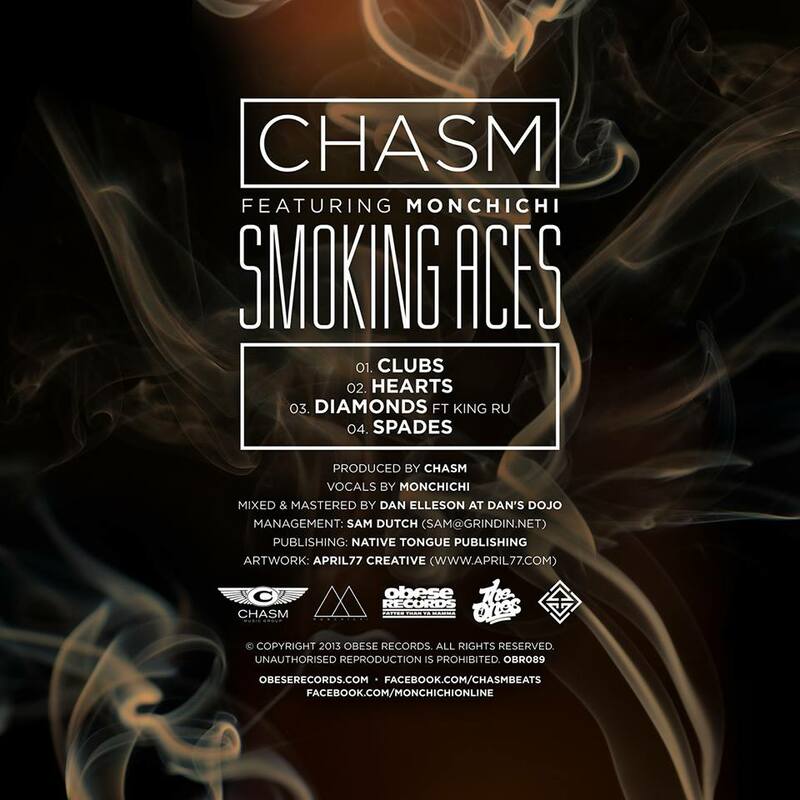 The second EP from Chasm’s 2013 EP series is Smoking Aces and features rising star Monchichi who has enjoyed considerable airplay on triple j’s Unearthed of late. Chasm once again delivers another air tight release to add to his ever increasing musical catalog. The pursuit of an imitable vibe opened the door for the pair to forge a release bursting with clever production. The Smoking Aces EP is out on the 14th of June. You can purchase Chasm’s first EP from 2013, Diamond Cuts from iTunes here.